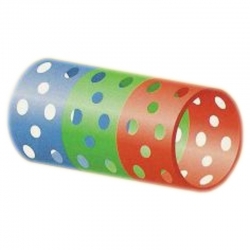 Question: I have a blown window lintels. Can you advise the beSt product to use. I am also considering covering all of my concrete lintels and sills to make a smooth finish. What product would you recommend for this? 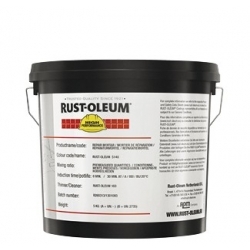 We recommend Rust-Oleum 5110 Verti-Patch for vertical and overhead repairs. Once repaired, you could coat the areas in something like Rust-Oleum Mathys Murfill Waterproofing Coating to provide a tough, flexible, waterproof finish. Question: Hi I have two small concrete gate posts in need of repair, can you recommend what I could use. 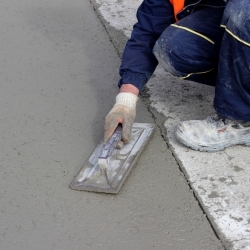 Blackfriar Professional Concrete Repair Mortar would be ideal for any horizontal repairs and our 202 Vertical Surface Repair Mortar would be perfect for any vertical repairs. 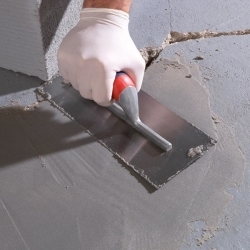 Rust-Oleum 5140 Light Duty Epoxy Repair Mortar is a solvent free, shrink-free epoxy repair mortar for repair work on concrete floors and walls. 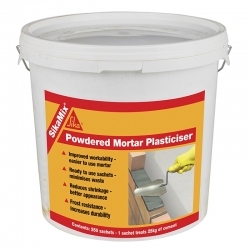 Sika Rapid Repair Mortar is an R4 fast setting cementitious repair mortar. 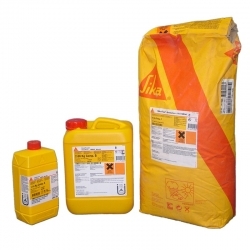 Sika Rapid Repair Mortar is a one component fast setting cementitious repair mortar, meeting the requirements of Class R4 of BS EN 1504-3. Repairs all types of structures. SikaTop Armatec 110 EpoCem is a bonding primer and reinforcement corrosion protection. 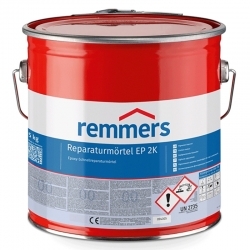 SikaTop Armatec 110 EpoCem is a cementitious, epoxy resin compensated three component coating material with corrosion inhibitor, used as bonding primer and reinforcement corrosion protection. 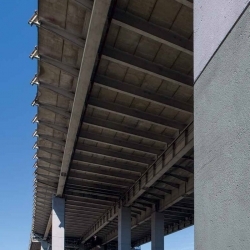 Sika Margel VPI 580 is a patented vapour phase corrosion inhibitor which is inserted inside concrete structural elements close to the reinforcing steel. 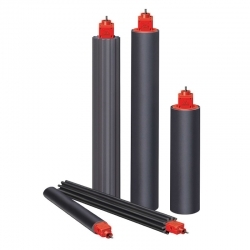 The product has been specifically developed to ensure the corrosion inhibitors are released over a period of 12- 48 months. 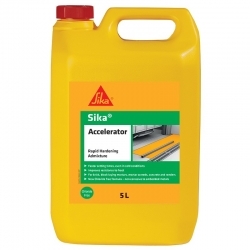 Sika AnchorFix 1 is a fast curing, solvent and styrene free, two part polyester anchoring adhesive. 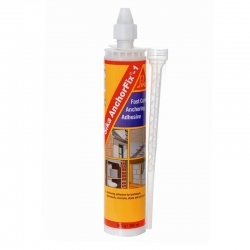 Intended for use as a fast curing anchoring adhesive for all grades of: Rebars / reinforcing steel, threaded rods, bolts and special fastening systems, concrete, hollow and solid masonry, hard natural stone and solid rock. 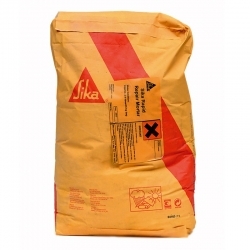 SikaMix Powdered Mortar Plasticiser (PMP) is a pre-measured air entraining admixture which complies to EN 934 and replaces or complements the use of lime in sand and cement bricklaying and rendering. 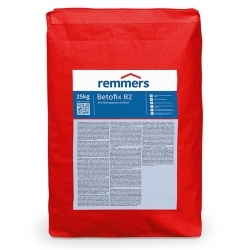 Ready to use sachets, improved workability, increases durability, reduces shrinkage, increases frost resistance, use 1 sachet per 25kg of cement.